US senators have written to Google asking for more details about revelations that a hidden microphone had been built into its Nest devices. The company then apologised for not disclosing the fact earlier, saying it had not been used “up to this point”. Now, senators are asking chief executive Sundar Pichai to clarify. “In recent years, consumers have become increasingly concerned about the ability of large technology companies to collect and use personal data about them without their knowledge,” the letter reads. It added that Google’s failure to disclose the microphone’s existence “raises serious questions about its commitment to consumer transparency and disclosure”. Google has said that the microphone was “never intended as a secret” and it was an error that it was not listed on the technical specifications. 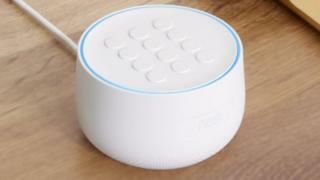 The product in question is Nest Guard, one of Google’s Nest Secure range of home security products. The alarm and motion sensor will now be compatible with Google Assistant. The senators have asked Google for a written response by 12 March.